Abstracts of select recently published books. Note: Books may be ordered from the appropriate publisher, as listed below. IRP and UKCPR Collaborate on Forthcoming Book, "SNAP Matters"
The forthcoming book SNAP Matters (November 2015), is the product of an IRP-UKCPR conference held in September of 2013 at the Brookings Institution. The book is co-edited by IRP Affiliates Judith Bartfeld, Director of the IRP-RIDGE Center for National Food and Nutrition Assistance Research; Craig Gundersen, Soybean Industry Endowed Professor of Agricultural Strategy in the Department of Agricultural and Consumer Economics at the University of Illinois; Timothy M. Smeeding, Arts and Sciences Distinguished Professor of Public Affairs and Economics and former Director of IRP at the University of Wisconsin–Madison; and James P. Ziliak, Carol Martin Gatton Endowed Chair in Microeconomics and the Founding Director of the Center for Poverty Research at the University of Kentucky. 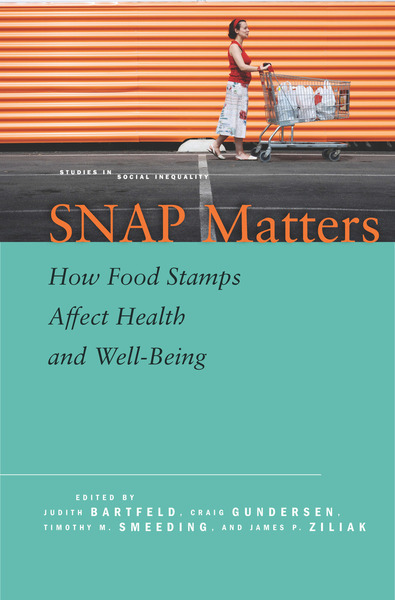 The volume brings together top scholars who begin asking questions that matter regarding the Supplemental Nutrition Assistance Program (SNAP), formerly known as Food Stamps. Finding that SNAP is highly responsive to macroeconomic pressures and one of the most effective antipoverty programs, this book encourages policymakers, students, and researchers to continue to examine SNAP. In this volume, leading scholars explore multiple aspects of contemporary family complexity in the United States, focusing particularly on families with minor children. Martha J. Bailey and Sheldon Danziger, Editors, July 2013, 324 pp. Legacies of the War on Poverty draws from 50 years of empirical evidence to dispute the view of some that the War on Poverty launched by President Lyndon Johnson in 1964 was largely unsuccessful. The volume offers a balanced assessment of the effort to reduce poverty in America, highlighting some significant policy successes. 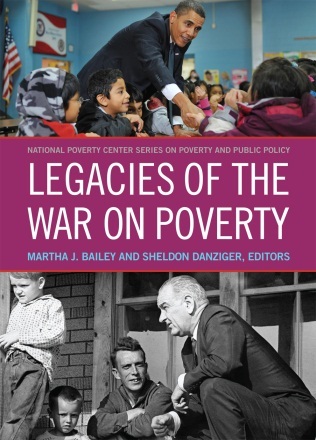 The volume features contributions from many leading poverty researchers, including IRP affiliates Sheldon Danziger, Harry Holzer, Jens Ludwig, Jane Waldfogel, Barbara Wolfe, and Katherine Swartz. For further information: Russell Sage Foundation Press, 112 East 64th Street, New York, NY 10021; phone: 212-750-6000; fax: 212-371-4761. Steven Raphael and Michael A. Stoll, May 2013, 336 pp. Why Are So Many Americans in Prison? examines the five-fold increase in the American incarceration rate between 1975 and 2007. The authors explore the factors that might explain the dramatic rise in incarceration rates in such a short span of time and analyze the expansion of America's prison system. 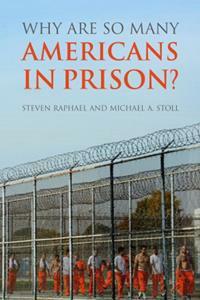 Authors Steven Raphael and Michael Stoll, both of whom are IRP affiliates, evaluate changes in crime patterns, enforcement practices, and sentencing laws and reach the conclusion that public policies have caused the dramatic increase in incarceration. David Card, Steven Raphael, Editors, July 2013, 484 pp. Immigration, Poverty, and Socioeconomic Inequality looks at the rapid increase in the proportion of foreign-born residents in the United States since the mid-1960s as one of the most dramatic occurrences in the past 50 years. The increase in immigration, especially the growing influx of less-skilled and less-educated persons, has slowed the U.S. economy, held down the wages and employment of native-born workers, and burdened state and local budgets. Labor economists and volume editors David Card and Steven Raphael, both of whom are IRP affiliates, and an interdisciplinary team of scholars assess the costs and benefits of the latest period of immigration to the United States. James P. Ziliak, Editor, February 2012, 216 pp. In 1964, a year after President Lyndon Johnson traveled to Kentucky to declare war on poverty, the president signed the Appalachian Regional Development Act. The act created a state-federal partnership to improve the region's economic prospects through better job opportunities, improved human capital, and enhanced transportation. Appalachia, as the focal point of the country's antipoverty efforts, took on symbolic and economic importance. Appalachian Legacy examines the results of the effort 50 years hence. Editor James Ziliak—the Carol Martin Gatton Endowed Chair in Microeconomics and director of the Center for Poverty Research at the University of Kentucky and an IRP affiliate—leads the investigation. Economists and demographers examine the region's current status, how Appalachia compares to the nation as a whole in key areas such as employment, education, and health. They ask whether the region is still mired in a poverty trap and explore lessons to be drawn from the Appalachian experience. For further information: Brookings Institution Press, 775 Massachusetts Ave, NW, Washington, DC 20036, phone: 1-800-537-5487; fax: 410-516-6998 ($34.95 cloth). John Ermisch, Markus JÃ¤ntti, and Timothy M. Smeeding, editors, May 2012, 440 pp. As economic inequality in the United States continues to rise, the national policy conversation will not only need to address the devastating effects of rising inequality in this generation but also the potential consequences of the decline in mobility from one generation to the next. Drawing on unparalleled international datasets, From Parents to Children provides an important first step. For further information: Russell Sage Foundation Press, 112 East 64th Street, New York, NY 10021; phone: 212-750-6000; fax: 212-371-4761; ($59.95 paperback). Douglas N. Harris, January 2011, 288 pp. In Value-Added Measures in Education, economist and education researcher Douglas N. Harris takes on one of the most hotly debated topics in education. Drawing on his extensive work with schools and districts, he sets out to help educators and policymakers understand this innovative approach to assessment. Written in straightforward language and illustrated with actual student achievement data, this essential volume shows how value-added measurement can help schools make better use of their data and discusses the strengths and limitations of this approach. Randi Weingarten, president of the American Federation of Teachers, contributed the foreword. The Institute for Research on Poverty (IRP) was created in 1966 as the national center for interdisciplinary research into the causes and consequences of poverty and social inequality in the United States. Today, IRP maintains its focus on generating poverty research of the highest quality, stimulating a community of poverty research scholars, training and mentoring the next generation of poverty researchers, and disseminating our research widely. IRP's affiliates represent a range of disciplines and publish their research broadly, including the following books published by Russell Sage. Christopher J. Flinn, March 2011, 344 pp. In The Minimum Wage and Labor Market Outcomes, Christopher Flinn argues that a behavioral framework is invaluable for guiding empirical work and the interpretation of results in assessing the effects of the minimum wage (in the United States and elsewhere). Flinn develops a job search and wage bargaining model that is capable of generating labor market outcomes consistent with observed wage and unemployment duration distributions, and also can account for observed changes in employment rates and wages after a minimum wage change. Flinn uses previous studies from the minimum wage literature to demonstrate how his model can be used to rationalize and synthesize the diverse results found in widely varying institutional contexts. He also shows how observed wage distributions from before and after a minimum wage change can be used to determine if the change was welfare-improving. For further information: The MIT Press, c/o Triliteral, 100 Maple Ridge Dr., Cumberland, RI 02864; phone: (800) 405-1619; fax: (800) 406-9145; e-mail: mitpress-orders@mit.edu ($40.00 cloth). Karen Bogenschneider and Thomas Corbett, April 2010, 386 pp. The authors of a book about informing policymaking with research have devoted their careers to bridging the gap between the research and public policy communities. Karen Bogenschneider and Thomas Corbett have the rare perspective of scholars who have always had one foot in the public policy world, which they describe with wit and humor in Evidence-Based Policymaking: Insights from Policy-Minded Researchers and Research-Minded Policymakers. The book is pragmatic, drawing on advice from some of the best and brightest informants from both the research and policy communities. In their own voices, researchers provide incisive analysis about how to bridge the research/policy divide, and policymakers provide insights about why they use research, what kind is most useful, where they seek it, and how they screen its quality. Readers will learn what knowledge, skills, approaches, and attitudes are needed to take research findings from the laboratory to lawmaking bodies, and how to evaluate one’s success in doing so. Jane L. Collins and Victoria Mayer, April 2010, 264 pp. Both Hands Tied tells the story of how these women and their children coped as sweeping welfare reform codified in the 1996 Personal Responsibility and Work Opportunity Reconciliation Act made cash assistance both temporary and contingent on work outside the home. Collins and Mayer provide the backdrop for the families’ struggles—the dearth of manufacturing jobs that historically employed men in good-paying jobs, the growing number of women serving as breadwinner for their families, and the harsh realities of employment in the low-wage labor market—and shares the mothers’ work-history narratives in their own words. Irwin Garfinkel, Lee Rainwater, and Timothy Smeeding, March 2010, 226 pp. Wealth and Welfare States: Is America a Laggard or Leader? explores the role of the welfare state in the overall wealth and well-being of nations, and in particular looks at the American welfare state in comparison with other developed nations in Europe and elsewhere. It debunks widely held myths about the welfare state, such as that the U.S. welfare state is unusually small. Wealth and Welfare States shows that all rich nations, including the United States, have large welfare states because the socialized programs that make up the welfare state—public education and health and social insurance—enhance the productivity of capitalism. The authors examine public education as a component of the welfare state and explore the implications of its exclusion from previous cross-national comparisons of welfare states. They also describe the major challenges faced by the American welfare state, especially the restoration of the nation’s historical lead in education and overhauling the health insurance system. Maria Cancian and Sheldon Danziger, eds., September 2009, 440 pp. Changing Poverty, Changing Policies is the latest in a distinguished series of volumes compiled by the Institute for Research on Poverty that periodically examine antipoverty policies in the United States. In this latest volume, leading antipoverty scholars review a wide range of public policy reforms aimed at increasing the employment and earnings of low-income individuals, helping parents better balance their work and family obligations, and raising the educational attainment and skills of the next generation. The authors’ focus on pragmatic measures that have real possibilities of being implemented in the United States not only provides vital knowledge about what works but real hope for change. Wiemer Salverda, Brian Nolan, and Timothy M. Smeeding, eds., February 2009, 768 pp. The Oxford Handbook of Economic Inequality presents a new and challenging analysis of economic inequality, focusing primarily on economic inequality in highly developed countries. Bringing together the world's top scholars, this comprehensive and authoritative volume contains an impressive array of original research on topics ranging from gender to happiness, from poverty to top incomes, and from employers to the welfare state. The authors give their view on the state-of-the-art of scientific research in their fields of expertise and add their own stimulating visions on future research. 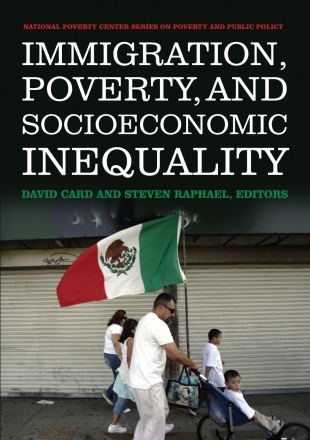 Ideal as an overview of the latest, cutting-edge research on economic inequality, this is a must have reference for students and researchers alike. The volume also links to a Web site full of further reading and methodological annexes to assist with further research in the field. Carolyn Heinrich and John Karl Scholz, eds., May 2009, 320 pp. Work first, the core idea behind the 1996 welfare reform legislation, may sound appealing, but according to Making the Work-Based Safety Net Work Better, it collides with a difficult reality. The degree to which work provides a way out of poverty depends greatly on the ability of low-skilled people to maintain stable employment and make progress toward an income that provides an adequate standard of living. This forward-looking volume examines eight areas of the safety net where families are falling through, and describes how current policies and institutions could evolve to enhance the self-sufficiency of low-income families. Katherine Magnuson and Jane Waldfogel, eds., November 2008, 360 pp. Addressing the disparity in test scores between black and white children remains one of the greatest social challenges of our time. Between the 1960s and 1980s, tremendous strides were made in closing the achievement gap, but that remarkable progress halted abruptly in the mid 1980s, and stagnated throughout the 1990s. How can we understand these shifting trends and their relation to escalating economic inequality? In Steady Gains and Stalled Progress, interdisciplinary experts present a groundbreaking analysis of the multifaceted reasons behind the test score gap—and the policies that hold the greatest promise for renewed progress in the future. Steady Gains and Stalled Progress shows that while income inequality does not directly lead to racial differences in test scores, it creates and exacerbates disparities in schools, families, and communities—which do affect test scores. Harris, David R., and Ann Chih Lin, eds. 2008. 280 pp. A multidisciplinary group of experts analyzes the complex mechanisms that connect poverty and race and reframes the debate over the causes of minority poverty by emphasizing the cumulative effects of disadvantage in perpetuating poverty across generations. Joe Soss and Sanford Schram argue that the increasingly decentralized and discretionary nature of state welfare programs allows for different treatment of racial groups, even when such policies are touted as “race-neutral.” Lincoln Quillian and Rozlyn Redd examine whether social capital can explain persistent poverty gaps among races. Lindsey, Duncan, and Aron Shlonsky, eds. 2008. 416 pp. Diamond, John W., and George R. Zodrow, eds. 2008. 546 pp. Conrad, Frederick G., and Michael F. Schober, eds. 2007. 298 pp. Gamoran, Adam, ed. 2007. 340 pp. Meyer, Madonna Harrington, and Pamela Herd. 2007. 248 pp. Poverty among the elderly is sharply gendered—women over 65 are twice as likely as men to live below the poverty line. Older women receive smaller Social Security payments and are less likely to have private pensions. They are twice as likely as men to need a caregiver and twice as likely as men to be a caregiver. Recent efforts of some in Washington to reduce and privatize social welfare programs threaten to exacerbate existing gender disparities among older Americans. Pamela Herd and Madonna Harrington Meyer explain these disparities and assess how proposed policy reforms would affect inequality among the aged. Soss, Joe, Jacob S. Hacker, and Suzanne Mettler, eds. 2007. 288 pp. This book, which is coedited by IRP affiliate Joe Soss, is based on the April 21-22, 2005, IRP conference, “Making the Politics of Poverty and Inequality: How Public Policies Are Reshaping American Democracy.” Remaking America explains how the broad restructuring of government policy has both reflected and propelled major shifts in the character of inequality and democracy in the United States. Dickert-Conlin, Stacy, and Ross Rubenstein, eds. 2007. 272 pp. Clive Belfield and Henry M. Levin, eds. 2007. 273 pp. Edin, Kathryn, and Paula England, eds. 2007. 312 pp. Edwards, John, M. Crain, A. L. Kalleberg, eds. 2007. 304 pp. Is poverty a fact of life? Can the wealthiest nation in the world do nothing to combat the steadily rising numbers of Americans living in poverty—or the 50 million Americans living in “near poverty”? Senator John Edwards and some of the country’s most prominent scholars, businesspeople, and community activists say otherwise. The contributors explain why poverty is growing and outline concrete steps that can be taken now to start turning the tide. Madrian, Brigitte, Olivia S. Mitchell, and Beth J. Soldo, eds. 2007. 352 pp. As the leading edge of the Baby Boom generation attains age 60, members of this unusually large cohort born 1946–1966 are poised to redefine retirement—just as they have restructured educational, housing, and labor markets in prior days. Looking ahead, their numbers and their energy are sure to have a major impact on national pensions, healthcare, and social safety nets. Contributors to this volume note that Boomers will be better off than their predecessors in many ways, having benefited from the long run-up in housing prices, dramatic improvements in healthcare, and the expanding economy. On the other hand, the generation's sheer size will surely squeeze resources and require new approaches to retirement risk management. Tienda, Marta, and Faith Mitchell, eds. 2006. 502 pp. Hispanics and the Future of America presents details of the complex story of a population that varies in many dimensions, including national origin, immigration status, and generation. The papers in this volume draw on a wide variety of data sources to describe the contours of this population, from the perspectives of history, demography, geography, education, family, employment, economic well-being, health, and political engagement. They provide a rich source of information for researchers, policy makers, and others who want to better understand the fast-growing and diverse population that we call Hispanic. The current period is a critical one for getting a better understanding of how Hispanics are being shaped by the U.S. experience. This will, in turn, affect the United States and the contours of the Hispanic future remain uncertain. Moynihan, D. P., T. M. Smeeding, and L. Rainwater, eds., 2004; paperback edition, 2006. 328 pp. High rates of divorce, single-parenthood, and nonmarital cohabitation are forcing Americans to reexamine their definition of family. This evolving social reality requires public policy to evolve as well. The Future of the Family brings together the top scholars of family policy—headlined by editors Lee Rainwater, Tim Smeeding, and, in his last published work, the late Senator Daniel Patrick Moynihan—to take stock of the state of the family in the United States today and address the ways in which public policy affects the family and vice versa. Rebecca Blank, Sheldon Danziger, and Robert Schoeni, eds. 2006. 448 pp. In Working and Poor, a distinguished group of economists and policy experts examine how economic and policy changes over the last twenty-five years have affected the well-being of low-wage workers and their families. In Chapter 12, Cancian and Meyer examine the role child support plays in the economic well-being of less-skilled workers. Mincy, Ronald, ed. 2006. 344 pp. Parsons, C., and T. M. Smeeding, eds. 2006. 500 pp. A new kind of historic transformation is underway in 21st-century Europe. 20th-century Europeans were no strangers to social, economic, and political change, but their major challenges focused mainly on the intra-European construction of stable, prosperous, capitalist democracies. Today, by contrast, one of the major challenges is flows across borders—and particularly in-flows of non-European people. Immigration and minority integration consistently occupy the headlines. The issues which rival immigration—unemployment, crime, terrorism—are often presented by politicians as its negative secondary effects. Immigration is also intimately connected to the profound challenges of demographic change, economic growth, and welfare-state reform. Newman, Katherine S., ed. 2006. 432 pp. Now that the welfare system has been largely dismantled, the fate of America's poor depends on what happens to them in the low-wage labor market. In this timely volume, Katherine S. Newman explores whether the poorest workers and families benefited from the tight labor markets and good economic times of the late 1990s. Following black and Latino workers in Harlem, who began their work lives flipping burgers, she finds more good news than we might have expected coming out of a high-poverty neighborhood. Many adult workers returned to school and obtained trade certificates, high school diplomas, and college degrees. Their persistence paid off in the form of better jobs, higher pay, and greater self-respect. Others found union jobs and, as a result, brought home bigger paychecks, health insurance, and a pension. More than 20 percent of those profiled in Chutes and Ladders are no longer poor. A very different story emerges among those who floundered even in a good economy. Weighed down by family obligations or troubled partners and hindered by poor training and prejudice, these "low riders" moved in and out of the labor market, on and off public assistance, and continued to depend upon the kindness of family and friends. Bowles, Samuel, Steven N. Durlauf, and Karla Hoff, eds. 2006. 256 pp. Oakes, Kaufman, ed. 2006. 504 pp. Boyne, George A., Kenneth J. Meier, Laurence J. O'Toole, and Richard M. Walker, eds. 2006. 338 pp. The performance of governments around the globe is constantly in the spotlight, whether as a celebration or indictment of their activities. Providing evidence on strategies to improve the performance of public agencies is therefore essential to the practice of public management. This important contribution to the debate explores issues of measurement, research methodology, and management influences on performance. It focuses on three key questions: What approaches should be adopted to measure the performance of public agencies? What aspects of management influence the performance of public agencies? As the world globalizes, what are the key international issues in performance measurement and management? Settersten, Richard A., Frank F. Furstenberg, and Ruben G. Rumbaut, eds. 2005 (paperback, Spring 2008). 504 pp. Osgood, W., C. Flanagan, E. M. Foster, and G. Ruth, eds. 2005 (paperback, 2007). 432 pp. Marianne Bloch, Thomas Popkewitz, Kerstin Holmlund, Ingeborg Moqvist, editors. 2003. 304 pp. Global reforms in welfare state provisions entail changes in family and school responsibilities, governmental responsibilities about who should care for and educate children, and the images and narratives of what the family and child are and should be. In Governing Children, Families and Education, an international, interdisciplinary group of social scientists and historians explore the politics of these changing patterns in this groundbreaking book at two levels: structural examinations of the (re)distribution of power as it relates to class, gender, and race; and the mentalities that govern the relation of the private or public responsibilities of families and the child in care of the state and schools. For information or to purchase: Palgrave Macmillan, 175 Fifth Avenue, New York, NY 10010; phone: 800-221-7945; fax: 212-777-6359 (cloth, $69.95; paper $24.95). Robert H. Haveman, Andrew Bershadker, and Jonathan A. Schwabish. 2003. 229 pp. This study enhances the existing measures of the nations human capital and the extent to which that capital is utilized. Haveman, Bershadker, and Schwabish develop an indicator of the value of the human capital stock held by the nations working-age population called Earnings Capacity (EC), and use it to study the time trends in aggregate human capital in the United States and human capital per worker. They also use EC to evaluate utilization of the nations human capital stock, exploring these patterns for the entire working-age population as well as for at-risk subgroups distinguished by race, schooling, and age in order to highlight the social and public policy relevance of the EC indicator. Their empirical results provide insights into the performance of the U.S. economy over the past three decades, and supplement other analyses of this performance. For information or to purchase: W. E. Upjohn Institute for Employment Research, 300 S. Westnedge Avenue, Kalamazoo, Michigan 49007-4686; phone: 269-343-5541; fax: 269/343-3308 ($40 cloth; $17 paper). Lee Rainwater and Timothy M Smeeding. 2003. 263 pages. Based on the data available from the transnational Luxembourg Income Study (LIS), Poor Kids in a Rich Country puts child poverty in the United States in an international context. Rainwater and Smeeding find that while the child poverty rate in most countries has been relatively stable over the past 30 years, child poverty has increased markedly in the United States and Britain. The book discusses the underlying reasons for this difference, examining the mix of earnings and government transfers, such as child allowances, sickness and maternity benefits, unemployment insurance, and other social assistance programs that go into the income packages available to both single- and dual-parent families in each country. Sanford S. Schram, Joe Soss, and Richard C. Fording, editors. 2003. 392 pages. Race and the Politics of Welfare Reform is about race in the United States and its distinctive effects on contemporary welfare politics. Over the last three decades, an impressive body of scholarship has brought the interplay of race and poverty politics into sharper focus. By bringing together diverse scholars with overlapping, substantive concerns, the book aims to present an integrated understanding of how race has shaped the past and present of U.S. social policy. Contributors consider the historical processes and the racial roots of contemporary welfare dilemmas; racial biases in the ways welfare is reported in the mass media and evaluated by the public at large; the racial dynamics of welfare policy discourse; racial bias in state welfare policy choices and implementation; and the intersection of race and social policy developments beyond "welfare reform." This book presents conclusions and recommendations for policies that can respond to the new conditions shaping America's working families. Included in this comprehensive review of the research and data on family leave, child care, and income support issues are: the effects of early child care and school age child care on child development, the impacts of family work policies on child and adolescent well-being and family functioning, the changes to federal and state welfare policy, the emergence of a 24/7 economy, the utilization of paid family leave, and an examination of the ways parental employment affects children as they make their way through childhood and adolescence. The book also evaluates the support systems available to working families, including family and medical leave, child care options, and tax policies. For information or to purchase: National Academies Press, 500 Fifth Street, NW, Washington, DC 20055; phone: 888-624-8373; fax: 202 334-2451; e-mail: zjones@nas.edu ($49 cloth). Robert Asen. 2002. 325 pages. Any future policy agenda that seeks to improve the lives of the poor must first come to terms with the images of poverty that shaped the debates over welfare culminating in the Personal Responsibility and Work Opportunity Reconciliation Act of 1996. In Visions of Poverty, Robert Asen traces the rhetoric of the poverty debate from the War on Poverty through the 1996 reforms-the "era of retrenchment" in welfare policy, as he describes it. Robert Asen is Assistant Professor in the Department of Communication Arts at the University of Wisconsin-Madison. Sheldon H. Danziger and Robert H. Haveman, editors. 2002. 576 pages. Looking back over the past four decades, the authors tell us how the poor have fared in the market economy and what government programs have accomplished and failed to accomplish. They assess the proggress we have made in understanding poverty, draw the policy implications, and present their judgments regarding issues for future research. This is the fourth volume reviewing poverty trends and policies that has been sponsored by IRP; earlier volumes appeared in 1975, 1977, 1986, and 1994 (see Confronting Poverty, below, and Older Titles List). The chapters in this volume were originally presented at a 2000 conference at the Institute for Research on Poverty in Madison, Wisconsin. Sheldon Danziger is Henry J. Meyer Collegiate Professor of Social Work and Public Policy, University of Michigan, Ann Arbor. Robert H. Haveman is John Bascom Professor of Economics and Public Affairs, University of Wisconsin at Madison. For information or to purchase: Harvard University Press, 79 Garden St., Cambridge, MA 02138, phone 800-405-1619 ( $55.00 cloth; $24.95 paper). Lawrence L. Wu and Barbara Wolfe, editors. 2001. 436 pages. Out-of-wedlock childbirth was a major target of the welfare reforms of 1996. Convinced that the steady rise in the number of children born to unmarried mothers was a consequence of previous welfare policies, the framers of the act mandated that states act to reduce these numbers and provided for financial incentives to do so. But the trend in nonmarital birth contains a number of puzzles; by the time the act passed, for example, the rise in extramarital births had already leveled off, although one out of three births is still to an unmarried mother. These conflicting trends give rise to a host of vexing theoretical, methodological, and empirical issues that are explored in this volume. For example, how do trends in nonmarital childbearing vary by race, ethnicity, and age? Are these patterns peculiar to the United States, or rooted in more widespread social phenomena? How many nonmarital births are to cohabiting couples, and how stable are cohabiting relationships? What do we know about the fathers of children born outside marriage? The chapters in this volume were originally presented at a 1999 conference at the Institute for Research on Poverty in Madison, Wisconsin. Its goals were to provide a forum in which sociologists, demographers, and economists could jointly review the state of basic research on nonmarital fertility and to provide objective information and analysis relevant to public and policy discussions of the issue. Lawrence L. Wu is Professor of Sociology and Barbara Wolfe is Professor of Economics, Public Affairs, and Population Health Sciences at the University of Wisconsin-Madison. For information or to purchase: Russell Sage Foundation, 112 East 64th Street, New York, NY 10021 Tel., 212.750.6000; Fax, 212.371.4761; e-mail, info@rsage.org ($39.95 cloth). J. Thomas Oldham and Marygold S. Melli, editors. 2000. 248 pages. There has been a revolution in child support law in the last half-century, fueled by escalating numbers of divorces and children born to unmarried parents. Reforms have moved the child support system from one of minimal effort, based on the assumption that children in single-arent households would be supported by their custodial parents or by government welfare, to a formula-based system for calculating child support and an aggressive enforcement program to collect that support from the noncustodial parent. This collection of essays examines the state of child support policy.The essays range from a review of child support history, with a focus on the changing mores of parental responsibility, to empirical studies of whether increased establishment of paternity and child support enforcement results in more father-child contacts, to how child support affects fathers and whether the support obligation impoverishes noncustodial fathers. Kenneth Arrow, Samuel Bowles, and Steven Durlauf, editors. 2000. 370 pp. This volume of original essays by distinguished economists, sociologists, and biologists confirms mounting evidence that the connection between intelligence and inequality is surprisingly weak and demonstrates that targeted educational and economic reforms can reduce the income gap and improve aggregate U.S. productivity and economic well-being. Kenneth Arrow is Joan Kenney Professor Emeritus of Economics at Stanford University; Samuel Bowles is Professor of Economics at the University of Massachusetts, and Steven Durlauf is Professor of Economics at the University of Wisconsin-Madison and an IRP affiliate. For information or to purchase: Princeton University Press, 41 William St., Princeton, NJ 08540 (cloth $59.50, paper $19.95). Mitchell Duneier, with photographs by Ovie Carter. 1999. 384 pp. In Sidewalk, Mitchell Duneier explores the lives of poor black men who make their living on the sidewalks of Greenwich Village, New York, selling secondhand goods, panhandling, and scavenging books and magazines left out for recycling. In recent years these men have become targets of "quality of life" campaigns in cities nationwide, seen as proof of the influential "broken windows" theory, which holds that the appearance of social disorder leads to crime. Duneier contends that the men are, instead, necessary and beneficial to city life today. For five years, he spent time on the blocks with them, working at their vending tables, hearing their stories, and observing the roles they play in the life of the city. He shows us not only their common human values but the many practical and moral choices they must make every day, conveying the character of urban life in all its complexity, its class and race conflicts, and the surprising opportunities it offers for empathy among strangers. Mitchell Duneier is Associate Professor of Sociology and Affiliate, Institute for Research on Poverty, the University of Wisconsin-Madison. For information or to purchase: Farrar, Strauss and Giroux, 19 Union Square West, New York 10003 ($27.00 cloth). Sheldon H. Danziger, editor. 1999. 345 pp. This new book addresses three critical questions arising from the federal and state welfare reforms of the past five years: (1) Why are welfare caseloads falling? (2) How are welfare recipients faring? (3) How are the states responding? The first four chapters, analyzing trends in welfare caseloads, explore how much of the caseload changes -- increases in the late 1980s and early 1990s, followed by decreases -- can be attributed to macroeconomic conditions, and how much to welfare policy changes. Two chapters focus on the labor market, first on work and earnings outcomes for recipients and then on employers' willingness to hire welfare recipients. The last three chapters focus upon what states are doing and how they are likely to respond when a recession comes. Contributors include Timothy J. Bartik, Rebecca M. Blank, Maria Cancian, Howard A. Chernick, Sheldon H. Danziger, Randall W. Eberts, David N. Figlio, Robert H. Haveman, Harry J. Holzer, Thomas Kaplan, Philip B. Levine, Therese J. McGuire, Daniel R. Meyer, Robert A. Moffitt, LaDonna A. Pavetti, Geoffrey L. Wallace, Barbara L. Wolfe, and James P. Ziliak. For information or to purchase: W. E. Upjohn Institute for Employment Research, 300 S. Westnedge Avenue, Kalamazoo, MI 49007-4686. Tel., 616-343-5541; Fax, 616-343-3308 (paper $40). Jay P. Heubert and Robert M. Hauser, editors. 1999. 350 pp. As more and more tests are introduced into U.S. schools, it becomes increasingly important to know how those tests are used in assessing children's performance and achievements. High Stakes examines common misuses of tests, their political and social context, what happens when test issues are taken to court, special student populations, social promotion, and more. High Stakes is a report of the Committee on Appropriate Test Use of the Board on Testing and Assessment, National Research Council. Jay Heubert is an Associate Professor of Education at Teacher's College, Columbia University, and an Adjunct Professor of Law at Columbia Law School. Robert M. Hauser is Vilas Research and Samuel A. Stouffer Professor Sociology at the University of Wisconsin-Madison, and an IRP affiliate. For information or to purchase: National Academy Press, 2101 Constitution Avenue NW, Washington, DC 20418. Tel., 800-624-6242; Fax, 202-334-2451 ($39.95). Irwin Garfinkel, Sara S. McLanahan, Daniel R. Meyer, and Judith A. Seltzer, editors. 1998. 369 pp. Much of the uncertainty surrounding child support policies has stemmed from a lack of hard data on nonresident fathers. Fathers under Fire presents a full body of information on the financial and social circumstances of these men. Social scientists and legal scholars explore the underlying issues of child support and the potential risks and benefits of stronger enforcement policies. Irwin Garfinkel is M. I. Ginsberg Professor of Contemporary Urban Problems in the School of Social Work at Columbia University; Sara S. McLanahan is Professor of Sociology and Public Affairs at Princeton University, Daniel R. Meyer is Associate Professor of Social Work at the University of Wisconsin-Madison, and Judith A. Seltzer is Professor of Sociology at the University of California, Los Angeles. All are IRP affiliates. For information or to purchase: Russell Sage Foundation, 112 East 64th Street, New York, NY 10021 Tel., 212.750.6000; Fax, 212.371.4761; e-mail, info@rsage.org. ($49.95 cloth). Peter K. Eisinger. 1998. 192 pp. In these prosperous times, national data show that almost 12 percent of American households either suffer from hunger or worry about going hungry, despite the existence of large public and private food assistance programs. In this book, Eisinger seeks to unravel the puzzle. He searches for a meaningful definition of hunger and examines the structure and funding of government food assistance programs, the roles of Congress and community interest groups, and the contributions of volunteer organizations. Believing that hunger is one social problem that can be solved, he offers ideas to reduce its incidence, based on creating stronger partnerships between public and private food programs. Peter K. Eisinger is Professor of Urban and Labor Studies and Political Science, College of Urban, Labor, and Metropolitan Affairs, Wayne State University, and an IRP affiliate. For information or to purchase: The Brookings Institution, 1775 Massachusetts Ave. NW, Washington, DC 20036. Tel., 202-797-6000; Fax, 202-797-6004 (cloth $39.95, paper $16.95). Brett V. Brown, William Prosser, and Robert M. Hausereditors. 1997. 640 pp. Indicators of Children's Well-Being is an inquiry into current efforts to monitor children from the prenatal period through adolescence. Experts from multiple disciplines assess how data on physical development, education, economic security, family and neighborhood conditions, and social behavior are collected and analyzed, what findings they reveal, and what improvements are needed to create a more comprehensive and policy-relevant system of measurement. Essays on children's material well-being show why income data must be supplemented with assessments of housing, medical care, household expenditure, food consumption, and education. Other contributors urge refinements to existing survey instruments such as the Census and the Current Population Survey. The usefulness of records from human service agencies, child welfare records, and juvenile court statistics is also evaluated. Robert M. Hauser is Vilas Research Professor of Sociology and Affiliate, Institute for Research on Poverty, the University of Wisconsin, Madison. Brett V. Brown is Research Associate at Child Trends, Inc. William R. Prosser is adjunct professor, Georgetown University Public Policy Program. Edited by Sheldon H. Danziger, Gary D. Sandefur, and Daniel H. Weinberg. Cambridge, MA: Harvard University Press, 1994. 529 pp. Confronting Poverty reviews three decades of research on the nature, causes, and consequences of poverty, and proposes an antipoverty agenda for the next decade. The authors document trends in poverty and income inequality, review government programs and policies, and analyze the public's complicated attitudes concerning these policies. They discuss the persistence and intergenerational transmission of poverty, the extent of welfare dependence, and the emergence of an urban underclass. They suggest thoughtful reforms in employment and training, child support, health care, education, welfare, immigration, and urban policies, all crafted from the successes, as well as the failures, of the last thirty years. Robert H. Haveman and Barbara L. Wolfe. 1994. 331 pp. By any historical or comparative standard, children in the United States today face a high probability of being born to an unwed mother and of living with a single parent. Do such childhood experiences matter? IRP affiliates Haveman and Wolfe present convincing evidence that the nurture that children receive plays a significant role in how they fare as young adults. Exploring the economic, family, and neighborhood determinants of success, they view children as human capital, whose ultimate accomplishments (or lack thereof) depend upon investment choices made by society, by the families in which the children live, and by the children themselves as they mature. Sara McLanahan and Gary Sandefur. 1994. 196 pp. What are the chances that the child of a single parent will graduate from high school, go on to college, find and keep a job? These are the questions the authors pursue across the spectrum of race, gender, and class. Children whose parents live apart, the authors find, are twice as likely to drop out of high school as those in two-parent families, one and a half times as likely to be idle in young adulthood, twice as likely to become single parents themselves. Yet living with a single parent does not doom a child to failure; many children from one-parent families grow up to become productive adults. What do we know about the sources of these different outcomes? How can we rethink current policies to improve the odds for children in single-parent families? Growing Up with a Single Parent was named a finalist in the Current Interest Section of the Los Angeles Times Book Prizes for 1995 and is the winner of the American Sociological Association's William J. Goode Award for the best publication on families. Note: Books must be ordered from the appropriate publisher, as listed below. Some books may be out of print. Please consult the publisher for information. Manski, C.F., and Garfinkel, I., eds. Harvard University Press. 1992. 364 pp. Sandefur, G.D., and Tienda, M., eds. 1988. 279 pp. Danziger, S.H., and Weinberg, D.H., eds. Harvard University Press. 1986. 418 pp. Academic Press. 1986. 190 pp. Borjas, G.J., and Tienda, M., eds. Academic Press. 1985. 375 pp. Academic Press. 1984. 232 pp. Handler, J.F., and Sosin, M.
Academic Press. 1983. 265 pp. Burkhauser, R.V., and Holden, K.C., eds. Academic Press. 1982. 272 pp. Academic Press. 1982. 554 pp. Academic Press. 1980. 223 pp. Haveman, R.H., and Hollenbeck, K., eds. Academic Press. 1980. 303 pp. and 285 pp. Williamson, J.G., and Lindert, P.A. Academic Press. 1980. 362 pp. Bates, T., and Bradford, W.
Academic Press. 1979. 200 pp. Academic Press. 1979. 154 pp. Academic Press. 1979. 252 pp. Academic Press. 1979. 271 pp. Handler, J.F., Hollingsworth, E., and Erlanger, H.S. Academic Press. 1978. 272 pp. Academic Press. 1978. 185 pp. Academic Press. 1977. 164 pp. Garfinkel, I., and Haveman, R.H., with D. Betson. Academic Press. 1977. 160 pp. Golladay, F.L., and Haveman, R.H., with K. Hollenbeck. Academic Press. 1977. 198 pp. Academic Press. 1977. 382 pp. Academic Press. 1977. 154 pp. Masters, S., and Garfinkel, I. Academic Press. 1977. 290 pp. Academic Press. 1977. 146 pp. Moon, M., and Smolensky, E., eds. Academic Press. 1977. 240 pp. Reynolds, M., and Smolensky E.
Watts, H.W., and Rees, A., eds. Academic Press. 1977. 474 pp. Academic Press. 1977. 440 pp. Academic Press. 1976. 202 pp. Kershaw, D., and Fair, J. Academic Press. 1976. 246 pp. Academic Press. 1975. 384 pp. Academic Press. 1975. 290 pp. Academic Press. 1975. 140 pp. Plotnick, R.D., and Skidmore, F.
Academic Press. 1975. 248 pp. Academic Press. 1973. 163 pp. Cain, G.G., and Watts, H.W., eds. Academic Press. 1973. 373 pp. Academic Press. 1972. 176 pp. Academic Press. 1971. 188 pp. Handler, J.F., and Hollingsworth, E.J. Academic Press. 1971. 323 pp. Academic Press. 1971. 178 pp. Orr, L.L., Hollister, R.G. and Lefcowitz, M.J., with K. Hester. Academic Press. 1971. 339 pp. Academic Press. 1970. 392 pp. Academic Press. 1970. 459 pp.